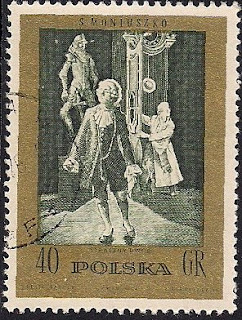 (Polish: Straszny dowr), Opera in 4 acts by Moniuszko composed in 1861-1864; libretto by Checinski. Despite being a romance and a comedy, it has strong Polish patriotism undertones, which made is both popular with Polish public and unpopular-to the point of being banned-bu Russian authorities whicg controlled most of Poland duing that era. The opera is one of the most popular scores in Poland, the captivating Polish atmosphere.